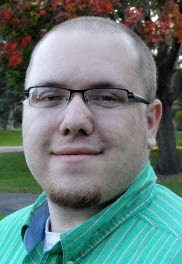 AOL has hired former Northfield News reporter Corey Butler Jr. to be its new editor of Northfield Patch (not yet open). The corporate Patch About page says that it’s "a community-specific news and information platform dedicated to providing comprehensive and trusted local coverage for individual towns and communities." Patch is also soon launching in Eagan, Edina, Golden Valley, Richfield, and St. Louis Park. I was to meet with Minnesota Patch regional editor Don Wyatt today in Apple Valley but he had to cancel. MinnPost’s David Brauer has blogged about Patch’s arrival in MN (see his posts: July, Aug, Sept, and Oct). There’s plenty more to read online about Patch, as it’s commonly seen as the most well-funded of the national hyperlocal community news ventures. AOL has deep pockets. Since Patch goes after local advertising dollars, I see them as a competitor to the Northfield News, KYMN, and the Northfield Entertainment Guide. Since Patch does community event info and seeks content from citizens, they’re also a competitor to Northfield.org. Some of their sites have discussion threads on their stories so in that sense, they’re a competitor to Locally Grown. Competition is good though, right?